For a given page with a custom domain, such as http://code.mydomain.com/myrepository/admin/access, the "group" links point to http://code.mydomain.com/account/user/myuser/groups/#group:developers etc, which does not exist. 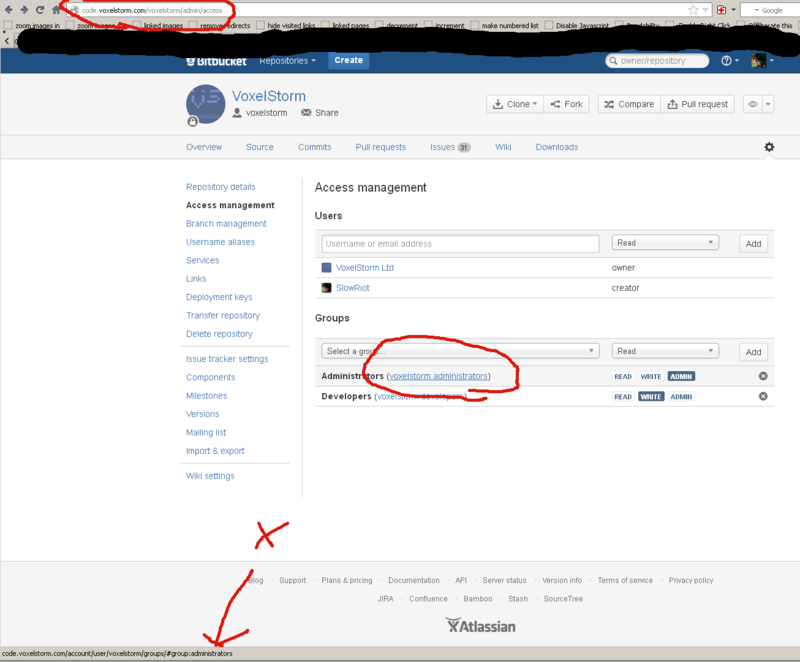 It should point to https://bitbucket.org/account/user/myuser/groups/, or some other equivalent management page under the custom domain that I am not aware of. I'm looking, but I don't see what you mean. Can you take a screenshot and indicate exactly which link where is wrong? Gotcha. Yes, that's a bug. Instead of giving a 404 that should redirect to bitbucket.org because the account management is inherently incompatible with CNAME support. I've raised an internal issue for it. We have decided to end support for CNAMEs. As a result, this issue will no longer be considered for fixing.